If you have any questions about what solar pool heating can do for you, please give Eco Solar a call today. Call Eco Solar today to make your pool more efficient than you ever thought possible. Quiet OperationsSolar heaters are the quietest heaters . That means no loud hum as you relax in the water. Eco Solar is a veteran owned business. 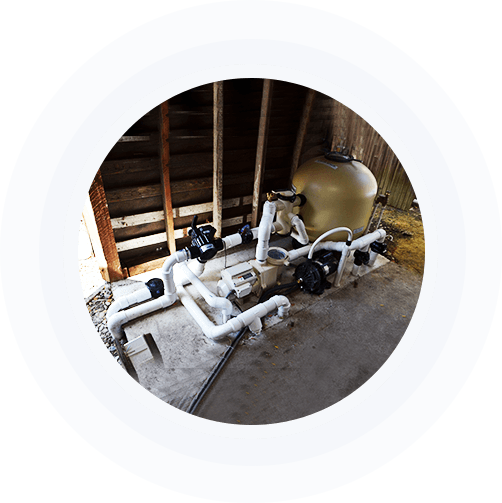 Its mission is to design and install solar pool heating and swimming pool filtration systems that use substantially less electricity than systems installed by any of its competitors. When you choose Eco Solar to heat your pool with solar energy, you will be heating and filtering your swimming pool for about 1/3 the energy that your microwave oven uses. That’s correct, less than 400 watts per hour for everything. No other solar or pool company is anywhere close to designing systems with this amazing energy efficiency. Do you need a Heated Pool? This is Eco Solar's specialty. Contact Us for all your solar pump needs. Solar heaters are the quietest heaters . That means no loud hum as you relax in the water.